Evangelicalism (/ˌiːvænˈdʒɛlɪkəlˌɪzəm/, /ˌɛvən/-), Evangelical Christianity, or Evangelical Protestantism[lower-alpha 1] is a worldwide, transdenominational movement within Protestant Christianity maintaining that the essence of the gospel consists in the doctrine of salvation by grace through faith in Jesus Christ's atonement. Evangelicals believe in the centrality of the conversion or "born again" experience in receiving salvation, in the authority of the Bible as God's revelation to humanity, and spreading the Christian message. The movement gained great momentum in the 18th and 19th centuries with the Great Awakenings in the United Kingdom and North America. The origins of Evangelicalism are usually traced back to English Methodism, the Moravian Church (in particular the theology of its bishop Nicolaus Zinzendorf), and German Lutheran Pietism. Today, Evangelicals may be found in many of the Protestant branches, as well as in Protestant denominations not subsumed to a specific branch. 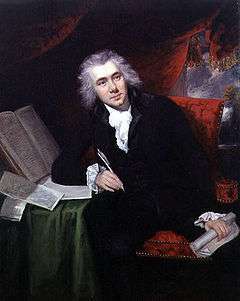 Among leaders and major figures of the Evangelical Protestant movement were John Wesley, George Whitefield, Jonathan Edwards, Billy Graham, Harold John Ockenga, John Stott and Martyn Lloyd-Jones. There are an estimated 285 million Evangelicals, comprising 13.1% of the total Christian population and 4.1% of the total world population. The Americas, Africa and Asia are home to the majority of Evangelicals. The United States has the largest concentration of Evangelicals. Evangelicalism, a major part of popular Protestantism,[lower-alpha 2] is among the most dynamic religious movements in the contemporary world, alongside resurgent Islam. While on the rise globally, the developing world is particularly influenced by its spread. The word evangelical has its etymological roots in the Greek word for "gospel" or "good news": εὐαγγέλιον euangelion, from eu "good", angel- the stem of, among other words, angelos "messenger, angel", and the neuter suffix -ion. By the English Middle Ages the term had expanded semantically to include not only the message, but also the New Testament which contained the message, as well as more specifically the Gospels which portray the life, death and resurrection of Jesus. The first published use of evangelical in English came in 1531 when William Tyndale wrote "He exhorteth them to proceed constantly in the evangelical truth." One year later Sir Thomas More produced the earliest recorded use in reference to a theological distinction when he spoke of "Tyndale [and] his evangelical brother Barns". During the Reformation, Protestant theologians embraced the label as referring to "gospel truth". Martin Luther referred to the evangelische Kirche ("evangelical church") to distinguish Protestants from Catholics in the Roman Catholic Church. Into the 21st century, evangelical has continued in use as a synonym for (mainline) Protestant in continental Europe, and elsewhere. This usage is reflected in the names of Protestant denominations such as the Evangelical Church in Germany (a union of Lutheran and Reformed churches) and the Evangelical Lutheran Church in America. Children worshipping at the Harvestime Church of Eau Claire, Wisconsin. Crucicentrism is the attention that Evangelicals give to the Atonement, the saving death and resurrection of Jesus, that offers forgiveness of sins and new life. This is understood most commonly in terms of a substitutionary atonement, in which Christ died as a substitute for sinful humanity by taking on himself the guilt and punishment for sin. In the words of Albert Mohler, president of the Southern Baptist Theological Seminary, confessional Evangelicalism refers to "that movement of Christian believers who seek a constant convictional continuity with the theological formulas of the Protestant Reformation". While approving of the Evangelical distinctives proposed by Bebbington, confessional Evangelicals believe that authentic Evangelicalism requires more concrete definition in order to protect the movement from theological liberalism and from heresy. This protection, according to confessional Evangelicals, is found in subscription to the ecumenical creeds and to the Reformation-era confessions of faith (such as the confessions of the Reformed churches). 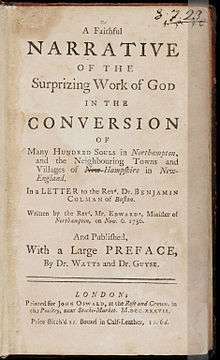 Confessional Evangelicals are represented by conservative Presbyterian churches (emphasizing the Westminster Confession), certain Baptist churches that emphasize historic Baptist confessions like the Second London Confession, evangelical Anglicans who emphasize the Thirty-Nine Articles (such as in the Anglican Diocese of Sydney, Australia), and some confessional Lutherans with pietistic convictions. In the post–World War II period, a split developed between Evangelicals, as they disagreed among themselves about how a Christian ought to respond to an unbelieving world. 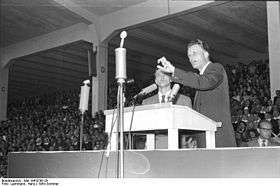 Many Evangelicals urged that Christians must engage the culture directly and constructively, and they began to express reservations about being known to the world as fundamentalists. As Kenneth Kantzer put it at the time, the name fundamentalist had become "an embarrassment instead of a badge of honor". According to a 2011 Pew Forum study on global Christianity, 285,480,000 or 13.1 percent of all Christians are Evangelicals. The largest concentration of Evangelicals can be found in the United States, with 28.9% of the U.S. population or 91.76 million, the latter being roughly one third of the world's Evangelicals. The next most populous is Brazil, with 26.3% or 51.33 million. 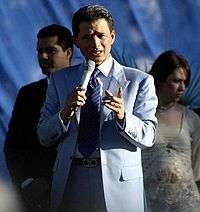 Cash Luna, an Evangelical Protestant televangelist in Guatemala. Protestants remained a small portion of the population until the late-twentieth century, when various Protestant groups experienced a demographic boom that coincided with the increasing violence of the Guatemalan Civil War. Two former Guatemalan heads of state, General Efraín Ríos Montt and Jorge Serrano Elías have been practicing Evangelical Protestants, as is Guatemala's current President, Jimmy Morales. General Montt, an Evangelical from the Pentecostal tradition, came to power through a coup. He escalated the war against leftist guerilla insurgents as a holy war against atheistic forces of evil. Protestant missionary activity in Asia was most successful in Korea. American Presbyterians and Methodists arrived in the 1880s and were well received. Between 1907 and 1945, when Korea was a Japanese colony, Christianity became in part an expression of nationalism in opposition to Japan's efforts to promote the Japanese language and the Shinto religion. In 1914, out of 16 million people, there were 86,000 Protestants and 79,000 Catholics; by 1934, the numbers were 168,000 and 147,000. Presbyterian missionaries were especially successful. Since the Korean War (1950–53), many Korean Christians have migrated to the U.S., while those who remained behind have risen sharply in social and economic status. Most Korean Protestant churches in the 21st century emphasize their Evangelical heritage. Korean Protestantism is characterized by theological conservatism coupled with an emotional revivalistic style. 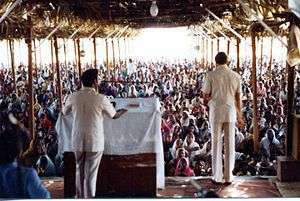 Most churches sponsor revival meetings once or twice a year. Missionary work is a high priority, with 13,000 men and women serving in missions across the world, putting Korea in second place just behind the US. Sukman argues that since 1945, Protestantism has been widely seen by Koreans as the religion of the middle class, youth, intellectuals, urbanites, and modernists. It has been a powerful force supporting South Korea's pursuit of modernity and emulation of the United States, and opposition to the old Japanese colonialism and to the authoritarianism of North Korea. There are 8.6 million adherents to Protestant Christianity (approximately 19% of the Korean population) in which many identify themselves as Evangelicals. Evangelicalism is a minor Christian denominations in the Philippines. According to the 2000 census, 2.8% of the Filipino Population are Evangelicals. Evangelicalism was a major force in the Anglican Church from about 1800 to the 1860s. By 1848 when an evangelical John Bird Sumner became Archbishop of Canterbury, between the fourth and third of all Anglican clergy were linked to the movement, which by then had diversified greatly in its goals and they were no longer considered an organized faction. Most Evangelicals align with the Christian right, in contrast to the abolitionist, civil rights, and feminist traditions of Mainline Protestantism. However, a large number of black self-labeled Evangelicals, and a small proportion of liberal white self-labeled Evangelicals, gravitate towards the Christian left. ↑ Primarily in the United States, where Protestants are usually placed in one of two categories – Mainline or Evangelical. 1 2 Global Christianity: A Report on the Size and Distribution of the World's Christian Population (PDF), Pew Forum on Religion and Public Life, December 19, 2011, p. 67 . 1 2 Noll 2004, pp. 16. ↑ Johnson, Phil (2009-03-16). "The History of Evangelicalism". Pulpit Magazine. ↑ Livingstone, Elizabeth A (2005). The Oxford Dictionary of the Christian Church (3rd ed. rev ed.). Oxford: Oxford University Press. p. 583. ISBN 0-19-280290-9. ↑ Bebbington 1993, pp. 5–8. ↑ Bebbington 1993, pp. 12–14. ↑ Bebbington 1993, pp. 15–16. 1 2 3 Dale M. Coulter, "The Two Wings of Evangelicalism", First Things (November 5, 2013). Retrieved December 17, 2014. ↑ Stanley 2013, pp. 27–28. ↑ Bauder 2011, pp. 30–32. ↑ Marsden 1991, pp. 3–4. 1 2 Olson 2011, pp. 241–242. ↑ Mohler 2011, pp. 103–104. ↑ Roger E. Olson, "Postconservative Evangelicals Greet the Postmodern Age", The Christian Century (May 3, 1995), pp. 480–483. Retrieved December 16, 2014. ↑ Balmer 2002, pp. 542–543. ↑ Noll 2004, pp. 54–55. ↑ Noll 2004, pp. 46–47. ↑ Noll 2004, pp. 66–67. ↑ Noll 2004, pp. 76–78. 1 2 3 Bebbington 1993, pp. 20. ↑ Noll 2004, pp. 79–80. ↑ Shantz 2013, pp. 279–280. ↑ Snead, Jennifer (2010), "Print, Predestination, and the Public Sphere: Transatlantic Evangelical Periodicals, 1740–1745", Early American Literature, 45 (1): 93–118, doi:10.1353/eal.0.0092 . ↑ Stout, Harold 'Harry' (1991), The Divine Dramatist: George Whitefield and the Rise of Modern Evangelicalism . ↑ Bebbington, David W (Jan 2002), "The Evangelical Revival in Britain in the Nineteenth Century", Kyrkohistorisk Arsskrift: 63–70 . ↑ Bebbington, David W (2007), "The Evangelical Conscience", Welsh Journal of Religious History, 2 (1): 27–44 . 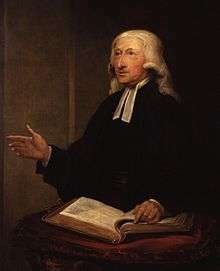 ↑ Bebbington, David W (1996), "The Holiness Movements in British and Canadian Methodism in the Late Nineteenth Century", Proceedings of the Wesley Historical Society, 50 (6): 203–28 . ↑ Sweetnam, Mark S (2010), "Defining Dispensationalism: A Cultural Studies Perspective", Journal of Religious History, 34 (2): 191–212, doi:10.1111/j.1467-9809.2010.00862.x . ↑ Findlay, James F (1969), Dwight L. Moody: American Evangelist, 1837–1899 . ↑ Hoffecker, W. Andrew (1981), Piety and the Princeton Theologians, Nutley: Presbyterian & Reformed , v.
↑ Henry, Carl FH (August 29, 2003) , The Uneasy Conscience of Modern Fundamentalism (reprint ed. ), Grand Rapids: Eerdmans, ISBN 0-8028-2661-X . ↑ Johnstone; Mandryk. "Operation World". Retrieved November 7, 2016. ↑ "WEA". 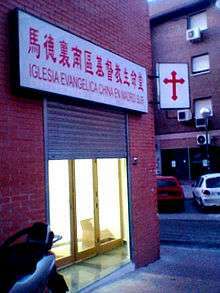 World Evangelical Alliance. 2015. Archived from the original on 2015-03-15. Retrieved 2015-03-15. ↑ "Lausanne Movement". Lausanne Committee for World Evangelization. 2015. Archived from the original on 2015-03-15. Retrieved 2007-05-24. ↑ Milne, Bruce (2010). Know the Truth: A Handbook of Christian Belief. InterVarsity Press. p. 332. ISBN 0-83082-576-2. Retrieved August 31, 2014. ↑ Freston, Paul (2004), Evangelicals and Politics in Asia, Africa and Latin America, pp. 107–90 . ↑ Pakendorf, Gunther (2011), "A Brief History of the Berlin Mission Society in South Africa", History Compass, 9 (2): 106–18, doi:10.1111/j.1478-0542.2009.00624.x . ↑ van Dijk, Richard A (1992), "Young Puritan Preachers in Post-Independence Malawi", Africa, Edinburgh University Press, 62 (2): 159–81, doi:10.2307/1160453 . ↑ Harries, Patrick (1988), "Christianity in Black and White: The Establishment of Protestant Churches in Southern Mozambique", Lusotopie: 317–33 . ↑ Ward, Kevin (2012). The East African Revival: History and Legacies. Surrey, England: Ashgate Publishing. p. 3. ↑ MacMaster, Richard K. (2006). A Gentle Wind of God: The Influence of the East Africa Revival. Scottdale, PA: Herald Press. ↑ Larsen, Timothy; Treier, Daniel J (12 April 2007). The Cambridge Companion to Evangelical Theology. Cambridge University Press. p. 261. ISBN 978-1-139-82750-8. Retrieved 14 July 2013. ↑ "U.S. Hispanics Are Becoming Less Catholic". Time. March 1, 2013. Retrieved 14 July 2013. ↑ "Religion in Latin America: Hola, Luther". The Economist. November 8, 2008. Retrieved 14 July 2013. ↑ Leonard, Émil-G (1963), O Protestantismo Brasileiro [Brazilian Protestantism] (in Portuguese), São Paulo: ASTE . ↑ Testa, Michael (1964). "Part 2: Portuguese Protestants in the Americas". Journal of Presbyterian History. The Apostle of Madeira. 42 (4): 244–71. .
↑ Latourette, Kenneth Scott (1943), A history of the expansion of Christianity, V: The great century in the Americas, Austral-Asia, and Africa: A.D. 1800 – A.D. 1914, pp. 120–3 . ↑ Latourette, Kenneth Scott (1945), A history of the expansion of Christianity, VII: Advance through Storm: A.D. 1914 and after, with concluding generalizations, pp. 181–2 . ↑ Burdick, John (2005), "Why is the Black Evangelical Movement Growing in Brazil? ", Journal of Latin American Studies, 37 (2): 311–32, doi:10.1017/s0022216x05009028 . ↑ Chesnut, R. Andrew (1999), "The Salvation Army or the Army's Salvation? : Pentecostal Politics in Amazonian Brazil, 1962–1992", Luso-Brazilian Review, 36 (2): 33–49 . ↑ Birman, Patrícia; Leite, Márcia Pereira (2000), "Whatever Happened to What Used to Be the Largest Catholic Country in the World? ", Daedalus, 129 (2): 271–90, JSTOR 20027637 . ↑ Londono, Diana (Dec 5, 2012), "Evangelicals in Brazil", Hemispheric Affairs, Coha . ↑ Antunes, Anderson (Jan 17, 2013), "The Richest Pastors in Brazil", Forbes . ↑ Jacob, CR; Hees, DR; Waniez, P; Brustlein, V (2003), Atlas da Filiação Religiosa e Indicadores Sociais no Brasil [Brazilian Religious Affiliation & Social Indicators Atlas] (in Portuguese), São Paulo, Rio de Janeiro: PUC-Rio, Edições Loyola, ISBN 85-15-02719-4 . ↑ Garrard-Burnett. Protestantism in Guatemala. pp. 138–61. ↑ Garrard-Burnett, Virginia (2011). Terror in the Land of the Holy Spirit: Guatemala under General Efrain Rios Montt 1982–1983. New York: Oxford University Press. ↑ Kane, Danielle; Park, Jung Mee (2009), "The Puzzle of Korean Christianity: Geopolitical Networks and Religious Conversion in Early Twentieth-Century East Asia", American Journal of Sociology, 115 (2): 365–404, doi:10.1086/599246 . ↑ Latourette, Kenneth Scott (1945), A history of the expansion of Christianity:, VII: Advance through Storm: A.D. 1914 and after, with concluding generalizations, pp. 401–7 . ↑ Ryu, Dae Young (2008), "The Origin and Characteristics of Evangelical Protestantism in Korea at the Turn of the Twentieth Century", Church History, 77 (2): 371–98, doi:10.1017/S0009640708000589 . ↑ Sukman, Jang (2004). "Historical Currents and Characteristics of Korean Protestantism after Liberation". Korea Journal. 44 (4): 133–156. ↑ Samuel P. Huntington (2007). The Clash of Civilizations and the Remaking of World Order. p. 101. ↑ Sukman, Jang (2004), "Historical Currents and Characteristics of Korean Protestantism after Liberation", Korea Journal, 44 (4): 133–56 . ↑ Ferguson, Tessa (March 9, 2011). "Professor explains religion's popularity in South Korea". ASU News. Arizona State University: The State Press. Retrieved 2013-07-25. ↑ "Missions Incredible". Christianity Today. 2006-01-03. Retrieved 2013-07-25. ↑ "Born Again: Evangelicalism in Korea". Hawai'i: UH Press. 2013-06-14. Retrieved 2013-07-25. ↑ Owen Chadwick, The Victorian Church, Part One: 1829–1859 (1966) pp 440–55. ↑ Luo, Michael (2006-04-16). "Evangelicals Debate the Meaning of 'Evangelical'". The New York Times. ↑ Green, John C. "The American Religious Landscape and Political Attitudes: A Baseline for 2004" (PDF) (survey). The Pew forum. ↑ Shields, Jon A (2009), The Democratic Virtues of the Christian Right, pp. 117, 121 . ↑ Dudley, Jonathan (2011). Broken Words: The Abuse of Science and Faith in American Politics. Crown Publishing Group. ISBN 978-0-385-52526-8. Retrieved February 24, 2015. .
↑ "Ten Major Court Cases about Evolution and Creationism". National Center for Science Education. 2001. ISBN 978-0-385-52526-8. Retrieved March 21, 2015. .
↑ Dershowitz, Alan M (2007), Blasphemy: how the religious right is hijacking our Declaration of Independence, p. 121 . ↑ Smith, Christian (2002). Christian America? : What Evangelicals Really Want. p. 207. ↑ Limbaugh, David (2003). Persecution: How Liberals are Waging War Against Christians. Regnery. ISBN 0-89526-111-1. Carpenter, Joel A. (1980), "Fundamentalist Institutions and the Rise of Evangelical Protestantism, 1929–1942", Church History, 49: 62–75, doi:10.2307/3164640 .